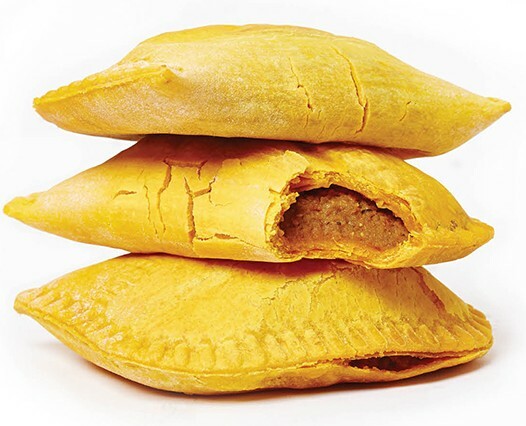 Traditional beef or chicken patties (savory turnovers) are the house special. In the new-fangled fast food world where they wrap up steam table-simmered Mexicali food and purport to call it “fresh,” Ena’s Jerkmania could have high hopes for catching on. Now when I say “fast,” that’s a bit of a stretch. A Kingston minute or two (maybe three) might be more accurate—after all, the meat is grilled to order. Meanwhile, groove to a little Buju Banton on the sound system while you sip on a Ting. For the uninitiated, Ting is a Caribbean soda, flavored with Jamaican grapefruit juice (think Fresca, but better). 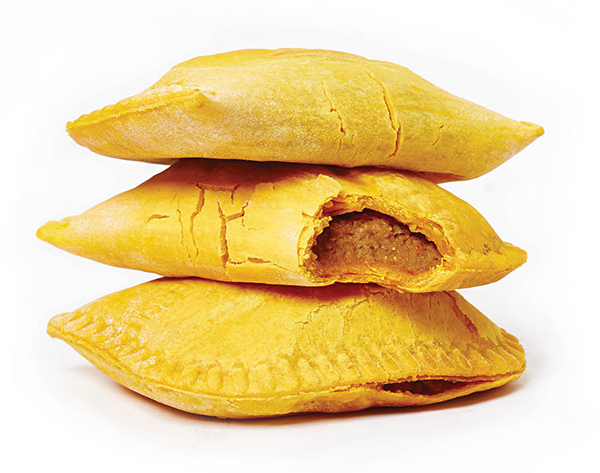 Traditional beef or chicken patties (savory turnovers) are the house special here. Classic combinations are available for order, or build your own, Chipotle-style. Pick a protein—chicken, brisket, pork—or veggies; add a jerk sauce (note the heat level) for grilling; a vehicle (sandwich, wrap, rice bowl, or salad); some fixin’s (everything from LTO to Caribbean slaw, sautéed mushrooms, and olives); and finally add an original condiment or two. Pro tip: their mayhem ginger mustard is fierce and the mango salsa mighty fresh. It all comes together like a fireworks display. Sides of rosemary-garlic or spicy parmesan French fries and fried plantains are also available. While you won’t find Ms. Ena at Jerkmania—she’s holding court at Caribbean Kitchen in Columbus—her southern Ohio Jamaican outpost, housed in a defunct Springdale Taco Bell, thrives. You’re gonna swear you’re back in Ocho Rios, mon.